Here is yet another one of my blog posts, attempting to summarize the busiest and most exciting months of my year without writing a 1000 page book. This one is more of a collection of photos, following a timeline of my summer race season and adventures. Overall, my 2017 season went like this: big up, big down, little up, little down, big up. It was quite a rollercoaster of performance, confidence levels, and jet lag from jumping around the globe. 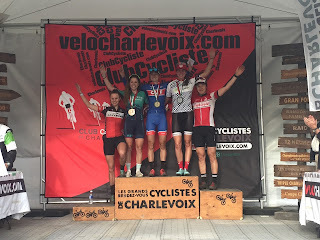 I had some amazing races at early season Canada Cups with the Trek Canada team in Quebec and Ontario, which really boosted my confidence and I set my goals/hopes high as I embarked on a 2 month journey living out of my bike bags. First, I went to Andorra then Switzerland for 2 World Cup races with Team Canada. I was very disappointed to perform relatively poorly, as I wasn't responding well to these locations at altitude. As always, disappointing races provide opportunity for the best kind of learning. 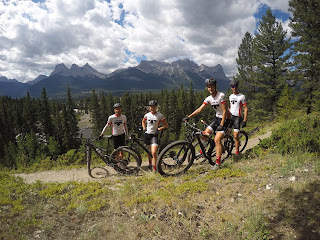 It was straight to Canmore next, where I stayed with family friends for one week, then met up with my Trek family for National Championships. 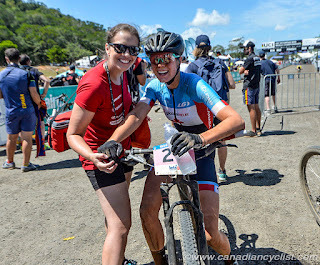 A flat tire on the first lap partnered with feelings of still not being 'on form', made for another upsetting race day at Nationals. But using 'failure' as fuel and staying focused forwards, I set off to Winnipeg with Team Ontario for the Canada Summer Games! Things started to take an upwards turn at the Games. I was selected to be the Flag Bearer for the province of Ontario at the Opening Ceremonies, which was an immense honour and incredible experience. In the XC race, I was beginning to feel a little more like myself, having my strongest race since those Ontario Canada Cups. Directly to Mont. St. Anne, Quebec I flew next, for Canada's World Cup event. The day before the race as I was practicing on the slippery course, I went down and my elbow took the blunt of my weight, hitting a rock. 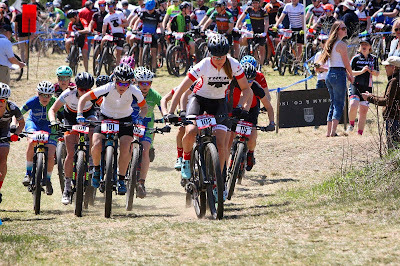 Even with stitches in my swollen elbow, I had hopes of being able to race the next day... but I couldn't hold onto my bars the next day even on road bumps, so racing was out of the plan. Luckily, it was the end of my big trip and time to go home anyways, so I had time for my elbow to heal. 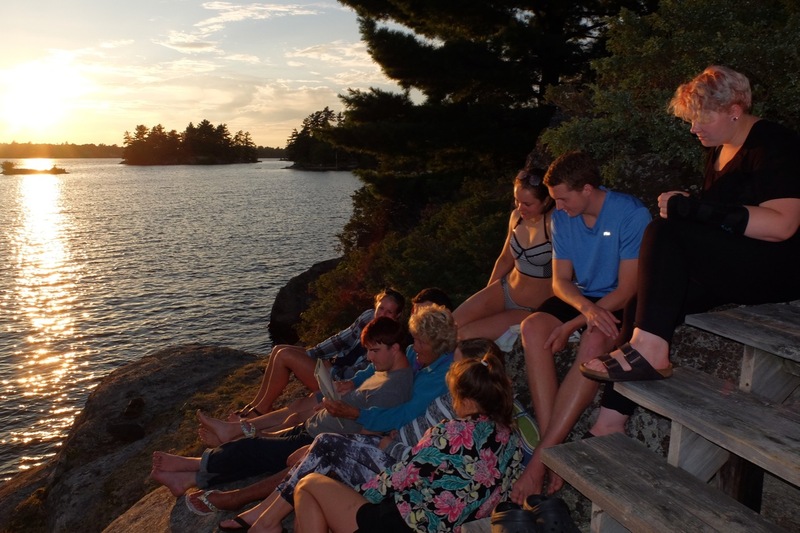 A week at my cottage for a family reunion was a perfect mental/physical break from all the travelling and racing over the past several weeks. After the cottage break, I had 2 weeks at home to train (and race Provincial Championships) before leaving to Australia for World Championships! Australia was INCREDIBLE before, during, and after the race with Team Canada. My coach Jeff Ain helped me prep well, and I felt like I was "on it" physically, mentally, and tactically. 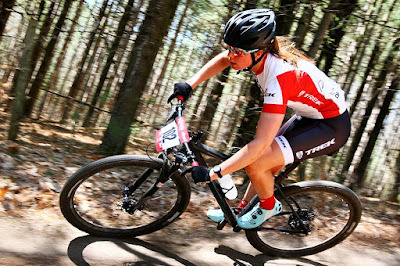 I didn't have a break through performance by any means at Worlds, but I finally was able to race to my normal potential at the international stage. 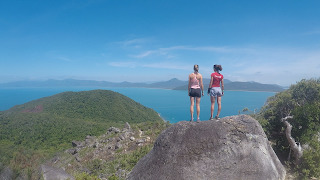 My World's race was a much needed positive way to end the season, and I got to celebrate with a few days of vacation around the Cairns area post-race before heading back to the reality of University in Ontario. Check out a whole wack of photos at the end of this post! I have major support networks that helped me get to all these races, be prepared for these races, and have the best equipment for these races. Trek Canada MTB Team has been my rock of support for the past 4 years, and I'm continuing onto my 5th year with this group that has become a tight knit community of mine. Equipment is a huge aspect of cycling at a high level, and Trek Toronto Store is always taking the best of care of the team with the highest quality. A successful race season is created in the off season. For the past year, the NextGen program has helped me every single day in some shape or form. 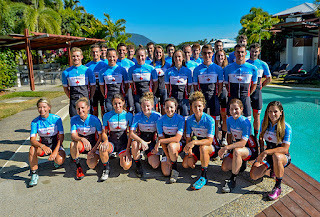 With my coach Jeff Ain and all the other IST services such as nutrition, strength coaching, mental performance, physiology, and physio, the NextGen program has helped it's athletes on the path to international success. Just finished the dusty race at Worlds, looking quite wrecked, but so happy to see Jeff there at the finish for me! This past year I continued to wear Smith Optics on every single training ride and in every race. When I think about it, its ridiculous how much I depend on my riding glasses; feeling completely naked without them. OF COURSE I cannot forget about the two most important people of all: my mom and dad with their unwavering support and love. I definitely met some major goals this season that I set out for myself a year ago, process and result wise. However there was much I was hoping to accomplish that I didn't. These goals carry over and bring momentum into my off season training which starts now. I have been at school for the past month now, in my third year of studies for my Kinesiology degree while dabbling in cyclocross and cross country running races. The school year is always very difficult to maintain a high performance lifestyle while studying full time, volunteering, and keeping sanity. Even though sometimes I feel unstoppable, invincible, and like I can go, go, go.... my body says otherwise and I get sick with my immune system as my weak link. So here's to the next half a year of fall/winter/spring training, midterm/exam studying, and taking time to slow down and smell the roses along the way. 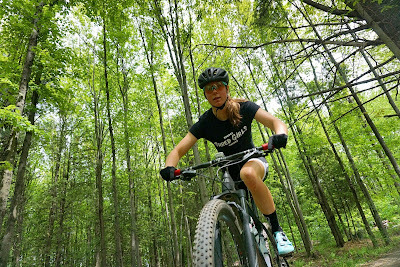 Helping out with the Trillium Trailblazer's event before the Canada Cups. Love hanging out with these young girls who are so excited to be on their bikes! 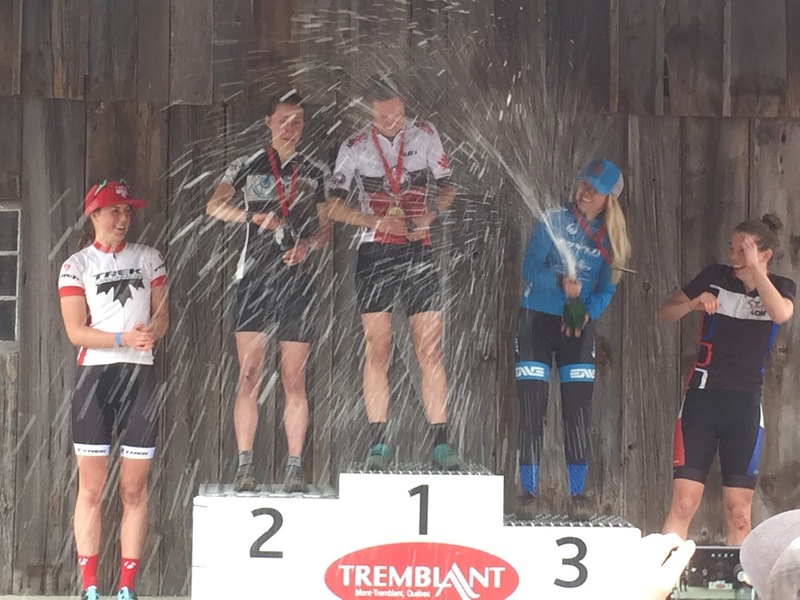 My results from the Canada Cups in BC, Quebec, and Ontario landed me as the overall Elite Women Canada Cup Series Winner! Jumping for joy with other Team Canada teammates because we were in Andorra! Yet still more beautiful views with Sarah! Nothing quite like the long travel days to get to Australia... but beyond worth it to be there, with Team Canada, and racing at World Champs! Post race endorphins are so high right here. Just one of the many people behind the magic of Team Canada... Thanks to Jenn and the rest of the Team Canada IST! Just trying to find Nemo. Or was I looking for Dory? AND obviously my face hurts because I've been smiling so much since I'm seeing all my best friends at school again!! Oh ya, there's this other sport I like to do a lot in the fall... XC running! I didn't just forget my bike, don't worry. Hellllooooooooo from the summer-vacating, stress-free Soren! Can't say I was anything better than stress-ridden just over a month ago during exam time, finishing up my second year at McMaster University. 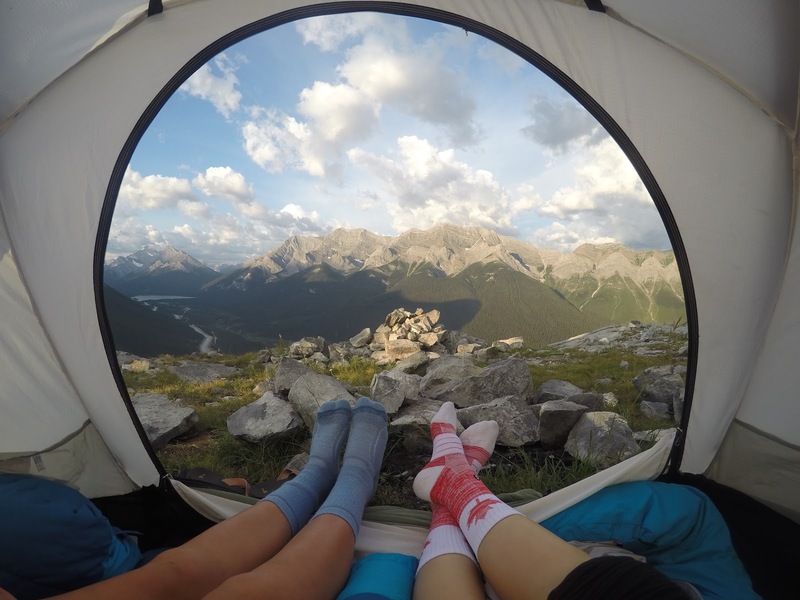 After coming back from B.C. mid-semester, I was annihilated by midterms, labs, and then exams every week. Training was tough with uncooperative weather and I got sick a lot. 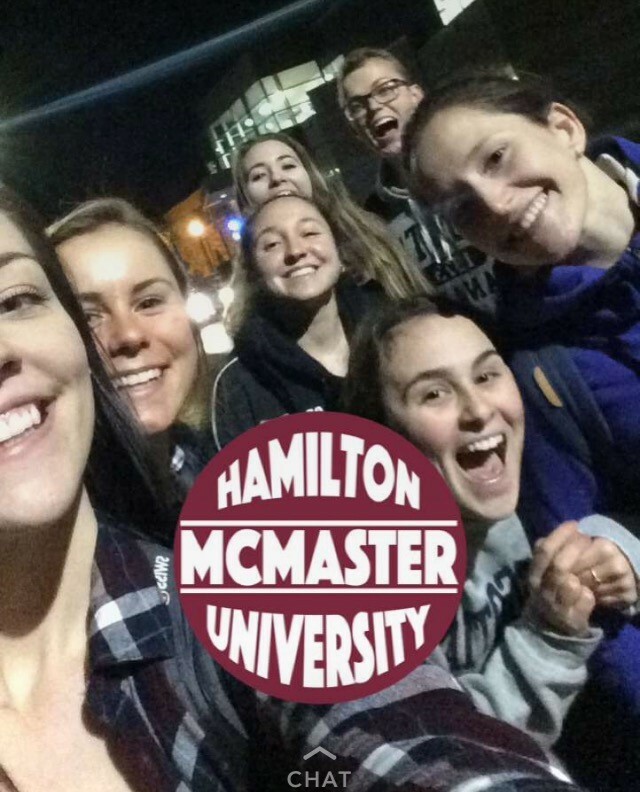 It definitely wasn't easy, but with my great friends at school, we were able to persevere until the end of exams. And in the end, I was very happy with my final grades and seeing my hard work pay off. 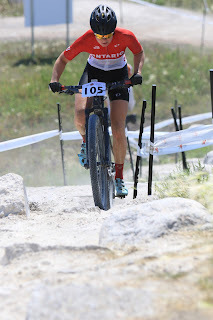 During exam weeks I had my first races in Ontario! 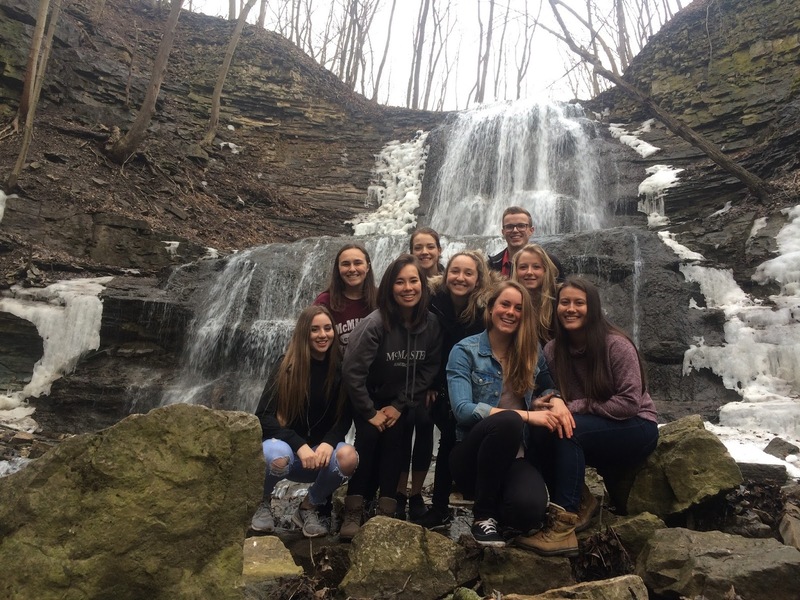 The Ontario cup season began at Woodnewton where we had the full Trek Canada Team together for the first time of 2017! I had a great battle that day with Elyse Nieuwold and played my tactics just right to come away with the win! It felt amazing to be back on my beloved Trek Procaliber for the race season and to look so FAST in our new team kits! 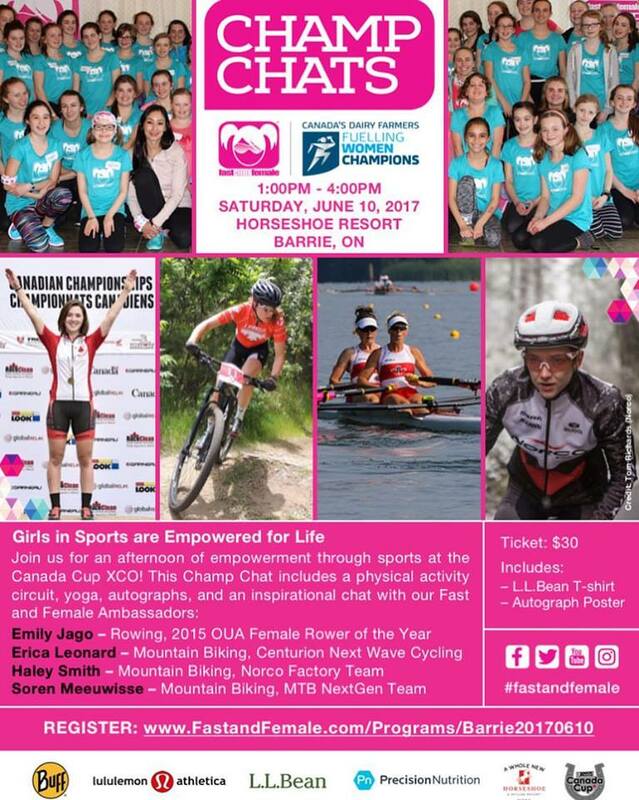 That weekend I also did a Fast and a female Champ chat in Dundas, ON! 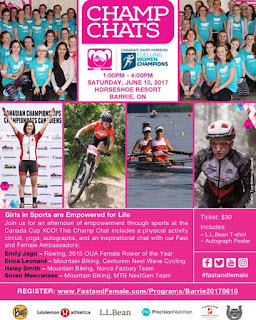 It is amazing seeing all the young girls faces and attitudes light up as they get involved, active, and inspired throughout the afternoon. 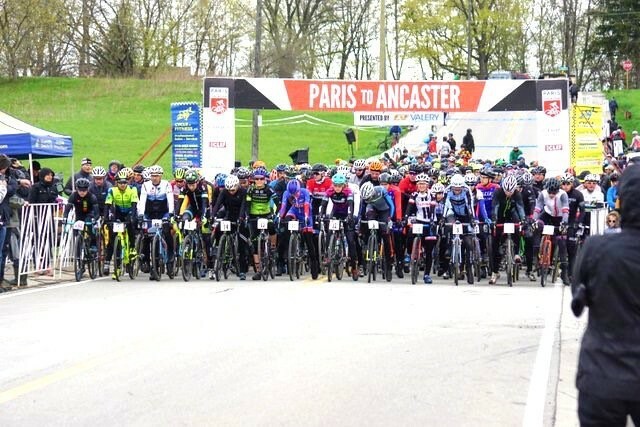 After finishing off my last two exams that week, I was racing Paris to Ancaster. 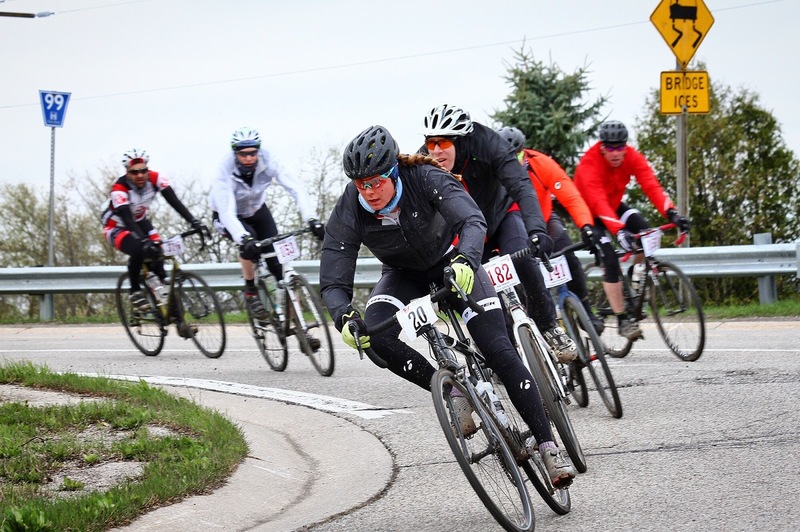 The 70 km spring classic road/cyclocross race definitely had classic spring conditions that's for sure. 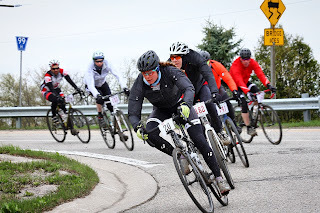 It was pouring rain before the start (luckily lightened up for the race), was very cold, and there was STRONG west-ward wind that made for a nasty head wind 90% of the race. 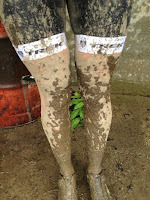 Let me tell you, that was not a good day to have bad racing legs. After a couple weeks of heavy training and school, all the physical and mental stress made for a tough race. It was still a fun time in a masochist type of way, but I was so happy just to be done. But wait, after draining all my energy in that gruesome weather, I ALSO had to move student houses right after the race. I seriously cannot thank my dad and Tyler Orschel enough for helping me move houses after they both raced as well. After moving student houses, I finished off my day driving 2hours home to move back up North to Orillia for the summer. I was so beyond excited for chill time at home - I was desperate for it. After a good week of physical and mental re-cooperation, I was starting to really soak in the summer vibes. It is just sooooooo nice to be able to train on my bike and at the gym, then ACTUALLY have time to do some recovery after!!! What a novel feeling!!! No more running from classes to training, then back to classes, then quickly making food, then training, then cramming in homework..... at least until I'm ready for that crazy busy schedule again in the fall. I really do love my university life, but a lonnnggg summer is needed to reset. The next weekend was the second Ontario Cup at a new venue in Kingston! 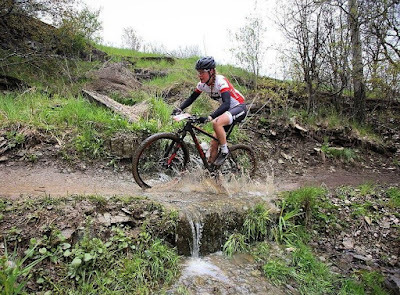 Unfortunately, the insanely rainy weather made for floods that ruined the course despite the race organizer and local volunteers best efforts to keep it mostly ridable. After how ridiculous the second Ocup with because of snow last year at Duntroon, I have deemed this the #CurseOfTheSecondOcup. 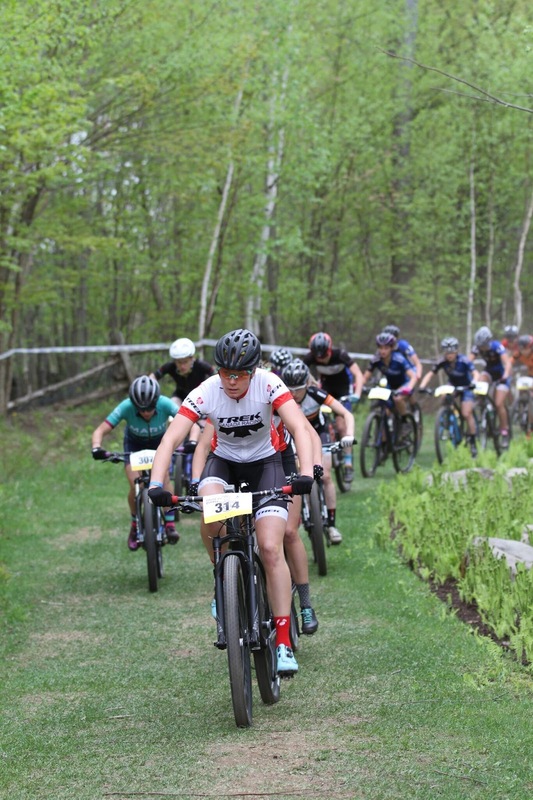 Both the past two years at the second Ocup, I have had to run with my bike more than ride it. The trail could have easily been mistaken for a swamp. Luckily for me, my XC running background came in handy yet again and I was able to finish with my second Ontario Cup win! After a couple weeks of training, I was driving out East again for Canada Cups #2 and #3 at Mt. 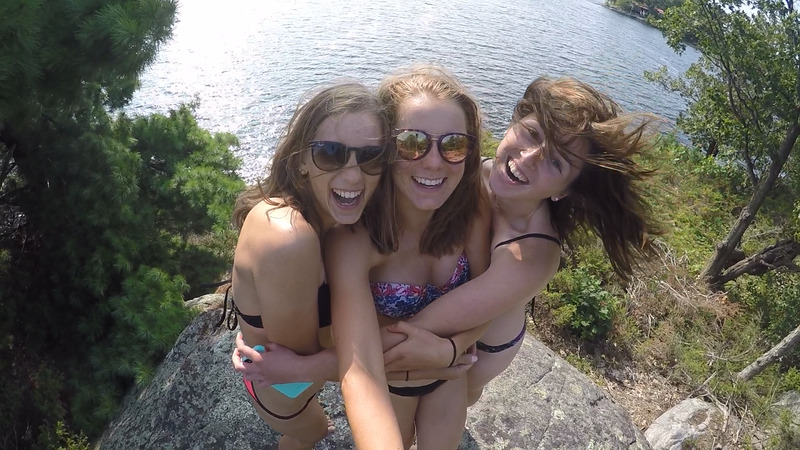 Tremblant and Baie St. Paul. 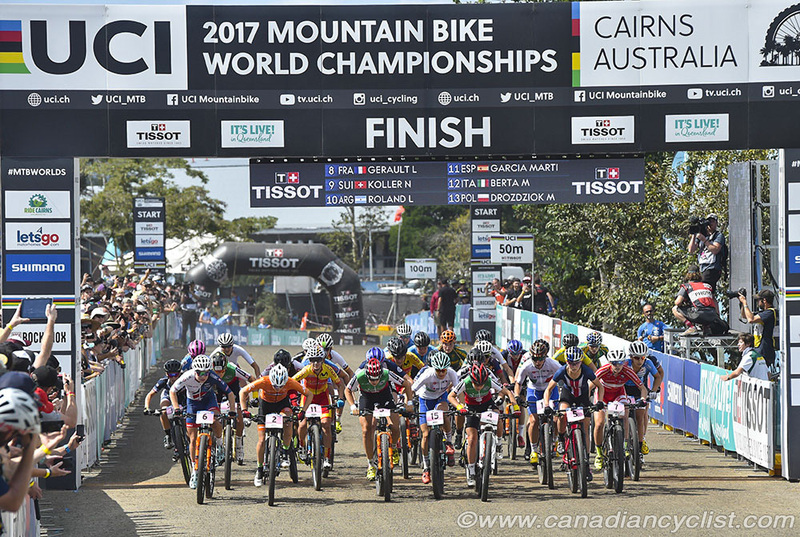 At the same time as these races, the first two World Cups were happening over in Czech Republic and Germany. These are the early season world cups I went to this time last year, but I decided not to go this year. It was a difficult decision as I always want to aim for the highest level and represent Canada, but it was in my best interest for overall season performance and long term development to stay home and get quality training and recovery for this time of the year. 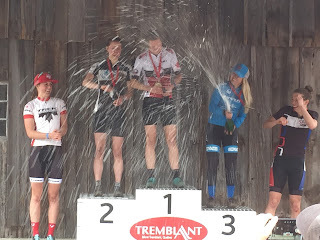 I definitely felt like I was missing out of all the European action, but I loved my time in Quebec with Trek Canada as well! Over the long May 2-4 weekend in Tremblant, I had a decent race and was content with my 4th place finish! This was my first top 5 result in an Elite Women Canada Cup which was awesome, but I also didn't feel completely on form during the race... like I just couldn't tap into my top potential and the legs weren't there. I absolutely love staying at the National Cycling Centre and riding the Bromont trails... it was so hard to make sure I wasn't riding too much so I would be race ready for that coming Saturday! 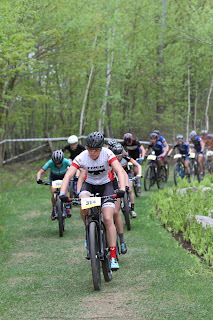 The Baie St Paul Canada cup was another late 4pm start on Saturday, and the course was the most dry I had ever seen it. This highly muscular, rocky, rooty course was so much fun at the high speeds in the dry conditions. As soon as the whistle blew, I knew I finally had good race legs. Off the start I was in second on Maghalie Rochette's wheel and we got a gap. This gap grew throughout the race, and Mag was able to get a gap on me. For the entire race I was riding by myself in second position. 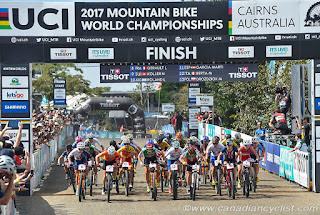 I was very impressed with myself during the race and how good I felt ... I kept thinking it was too good to last and I would blow up soon, but that feeling never came! However, things got a bit exciting on the last lap. 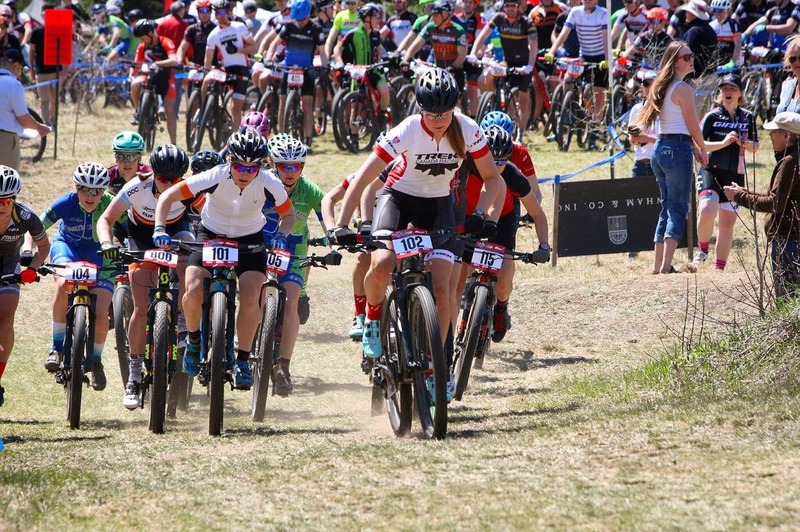 I have never experienced cramping during a race before, and my quads started to twitch on the last lap, threatening to seize up completely. 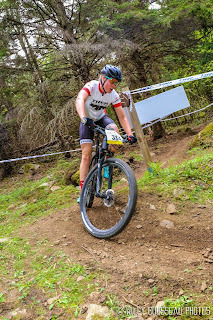 I wanted to push super hard to the finish, but I knew I had a good gap between myself and 3rd and should find places to spin easy to avoid completely cramping. I was successful at this, and 1km to go on the last descent I went off the big gap. Every other lap I felt like I hit this gap really well, but I landed nose heavy and completely face planted. I was up before I had registered that I was down but felt heat from my nose. I looked at a guy on the side of the trail and asked, "Is my nose bleeding?" All I got was a wide-eyed, shocked face with aggressive nodding. My thought processes started off with: I need to get to that finish line and not waste this great race on a stupid mess up. I decided I was good enough to ride downhill to the finish, so there I rode, with a waterfall of blood pouring out of my nose. I still haven't seen a picture of this finish line horror scene. 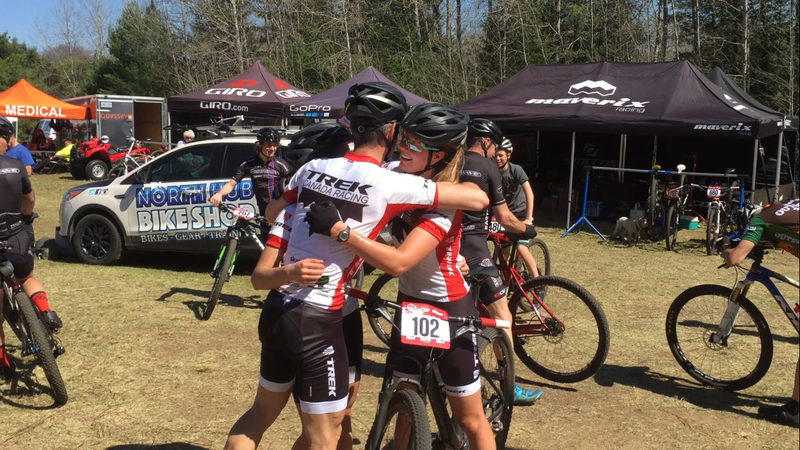 Congrats to my Trek Canada team mates on their strong races, and a big thank you from all of us to Taylor Near for coming out to be our trusty mechanic and race-feeder! 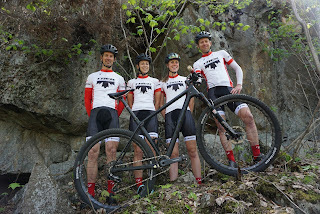 We couldn't be doing all this without the support and amazing equipment from Trek Store Toronto. 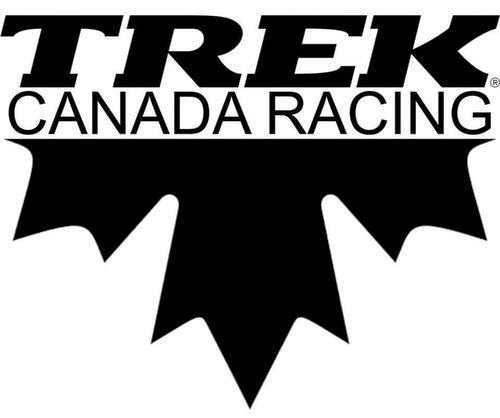 The Trek Store is hosting the 4th Canada Cup at Hardwood Ski and Bike on June 18th, so come out and check out this awesome event! Saturday was also an amazing day for Quinton Disera! So proud of him for winning his first Elite Canada Cup, and as a 1st year U23! 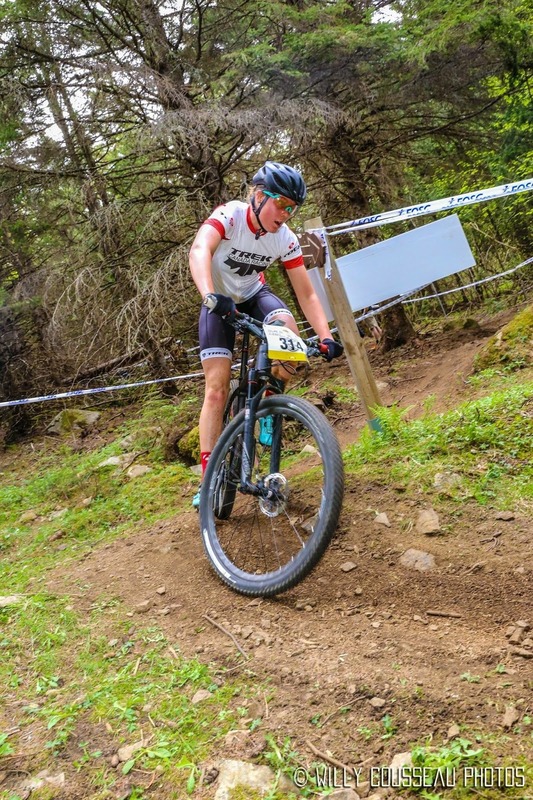 Also incredibly happy for Peter Disera who rode to 3rd place earlier that day at the World Cup in Germany!